Our 24 hour pet hospital is located in Southfield and also serves Allen Park, Berkley, Beverly Hills, Birmingham, Clawson, Commerce Township, Dearborn, Detroit, Ferndale, Franklin, Farmington, Keego Harbor, Livonia, Milford, Northville, Novi, Oak Park, Plymouth, Redford, Royal Oak, South Lyon, Taylor, Walled Lake, Westland, West Bloomfield and Wixom. Our BluePearl pet hospital on Inkster Road in Southfield gathers an uncommonly large array of specialists and 24 hour emergency vets who team up to meet any demand. 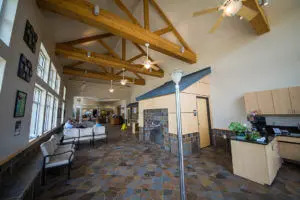 We are the largest group of board-certified veterinary specialists in southeastern Michigan and have a fully-equipped 38,000 square-foot specialty and emergency pet hospital with the capacity to care for 40 to 50 patients at a time. Our experts provide the best in diagnostic and therapeutic services. An MRI, a CT scanner and a linear accelerator for radiation therapy set Southfield apart from many practices. We offer radioiodine I-131 treatment for cats with hyperthyroidism, and there’s a state-of-the art carbon dioxide laser for dermatology. 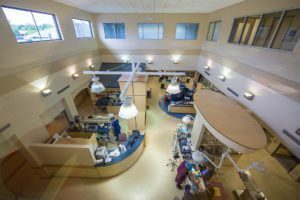 Founded in 1990 as Michigan Veterinary Specialists, we were the first private practice multi-specialty hospital in the state and continue to combine cutting-edge technology with compassionate care.